It’s no secret that Southwest Florida is renowned for its fishing. 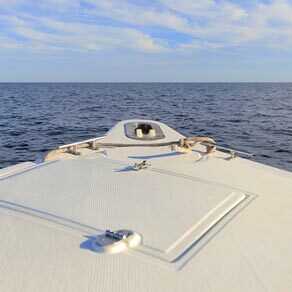 Take the helm of this center console fishing boat and discover some of the area’s best fishing along Englewood’s Intracoastal Waterway and Gulf coastline. Our 22’ Sea Hunt is outfitted with great fishing features like a built-in bait well, rod holders, and ample storage for your gear and tackle. The bimini top provides a shady oasis as you wait for the next fish to bite. You can even add a trolling motor ($75/day) to help you attract those keepers. GPS, charts / maps, and depth finder are included to make navigating a breeze. Planning a fishing trip with family and friends? 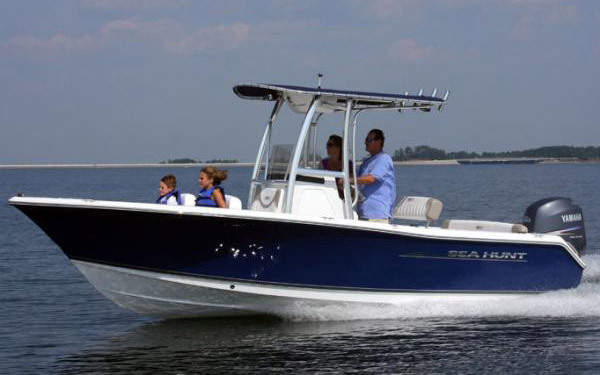 The Sea Hunt’s roomy deck has seating for up to 7 people, so everyone can enjoy a fun-filled fishing adventure.